Happy Thursday, Robin here with my design of the week. Where is the time going? Mother's Day is May 11, just giving you a head start! You have plenty of time to order your dies from Dies R Us and make a few cards. With just a change of sentiment this card can be used for many occasions. I used Taylored Expressions Tag Stacklet 1 and Impressions Obsessions Border Duo 1 as background elements. The Garden Watering Can die from Memory Box was shaded with a grey Copic marker. The flowers were cut from Memory Box Blushing Bouquet die. By using a patterned paper and coloring the stems and leaves with a Copic marker the bouquet came together easily. The detail in these dies is amazing! I love the little holes in the watering can and in the centers of the flowers. 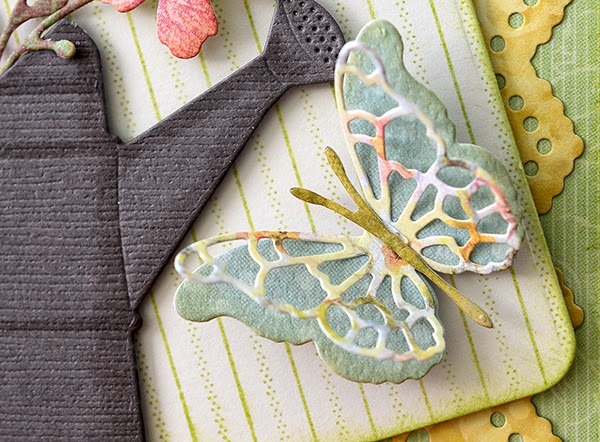 A Pippi Butterfly die coupled with the Isabella Butterfly make a beautiful embellishment. The card was finished with a twine bow and a sentiment stamped on Impression Obsession's Flags die. Don't forget Dies R Us is your one stop shop for dies. New dies are always arriving so stop by and see what we have! Our NEW challenge blog will be ready for YOU on May 1st !!! Twice a month you will have the opportunity to design a project using a specified theme. Rules and list of themes will be available for you on May 1. Robin, this is a beautiful card! I really love the whole design and your coloring on the watering can is so realistic. This is definitely one of my favorites, and now I'm going to have to get that watering can die! WOW such a beautiful springy creation Robin! 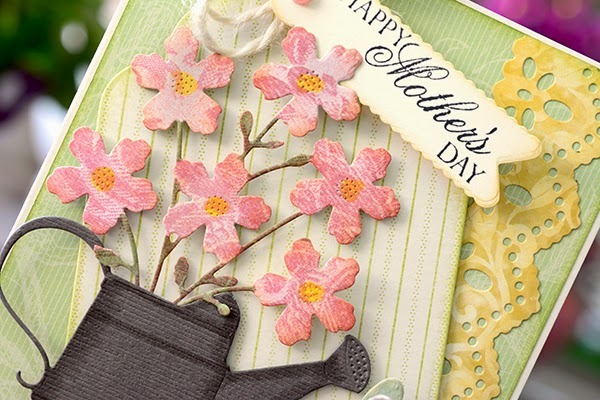 Love the watering can (I have a different one cut and ready to create with) filled with flowers ... perfect for Mom! Awesome inspiration ... thanks! A very pretty Mother's Day card! 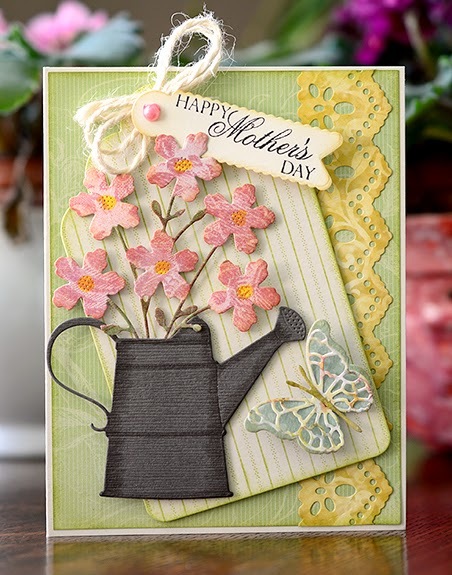 Love the watering can, flowers, and butterfly!